Each player is required to pass a Sports Physical prior to the first practice and file a copy with RUSH. If the player has one on file with RUSH, it cannot be older than March 31, of the current year. 18U - The athlete must be 14 or younger on September 1 of the current year. Times vary from season to season depending on the availability of coaches, facilities and families. There will be four practices per week, each lasting 1.5 - 2.0 hours. Schedules are maintained in TeamSnap. The TeamSnap calendar can be added to your 'smart' devices / computers via free subscription. More information regarding TeamSnap can be found in the Communication Section below. RUSH does not guarantee equal playing time. Playing time is merited based on ability, attitude, game & practice performance. All playing time is awarded at the discretion of the coach(s). The 18U program uses a home and away uniform and the fee is $135.00. Used uniforms may be available at a discounted price. Uniforms must be paid for prior to ordering. A parent/legal guardian must accompany players while the team is traveling unless acceptable arrangements have been made in advance. It is the responsibility of each player to make proper travel arrangements. This includes any overnight travel. RUSH does try to coordinate 'caravans' to help anyone in need of transportation. RUSH teams are not required to participate in the National Christian Home School Basketball Regional and National Tournaments every March. The national tournament is held in Springfield, MO. RUSH has a general liability insurance policy. RUSH does NOT provide MEDICAL Insurance. RUSH is a volunteer organization. Your help is needed. RUSH is always in need of people who will: Coach, Assistant Coach, Run Game Clock, Keep Stats, Coordinate Concessions, collect fees at the home game gate and etc. RUSH communicates extensively through TeamSnap and the RUSH website (www.GoTeamRUSH.com). TeamSnap is paid for by RUSH and is NOT charged to RUSH members. The App is free to download. We require your email address; phone number; athlete's name and birth date to invite you to TeamSnap the first time. We offer free on boarding (calendar subscription / enrollment) and training for anyone that needs help getting started with the service. 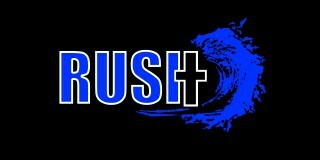 Each family athlete must register online at www.GoTeamRUSH.com BEFORE they can participate in the first practice. The first time you use TeamSnap you will have to FIRST create a PARENT account. The next step is to ADD your CHILD. After that you will simply register for whatever program you are interested in joining. If you already have a RUSH TeamSnap account, you simply logon and register for the program. All of these documents can be reviewed for language prior to starting the registration process at our website under the DOCUMENTS section. The DOCUMENTS section also contains a sample physical form that you may print if you need one. You will have the opportunity cancel your registration on our before your third practice. After that, RUSH will not issue a refund. The number of games and practices is an estimate. We may add games during the season or have games that are cancelled and cannot be rescheduled. We will make every effort to provide the number of games listed but RUSH cannot guarantee that it will happen. Check out this Basketball league 'Basketball - 18U' with RUSH!